I’ve always admired the Native American way: using all parts of an animal, worshiping nature, passing down stories through oral tradition, etc. Now that I’m becoming more aware of how I treat the planet, including the animals that live in it, I have an urge to live like the people who were the original Americans. A blog I follow (and love) posted about this book of photographs of families with the food they consume in one week. It is quite astonishing. 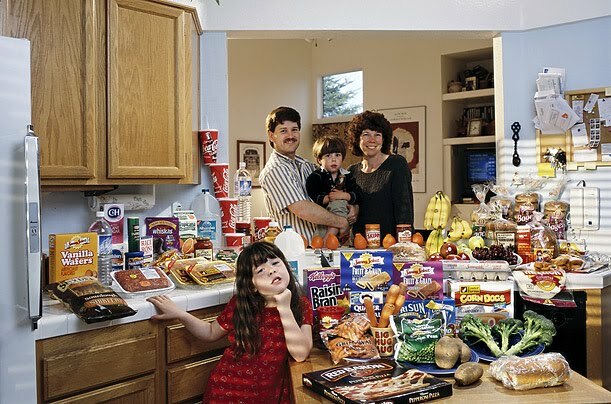 This family of 4 spends an average of $160 per week for their diet of mostly processed foods. 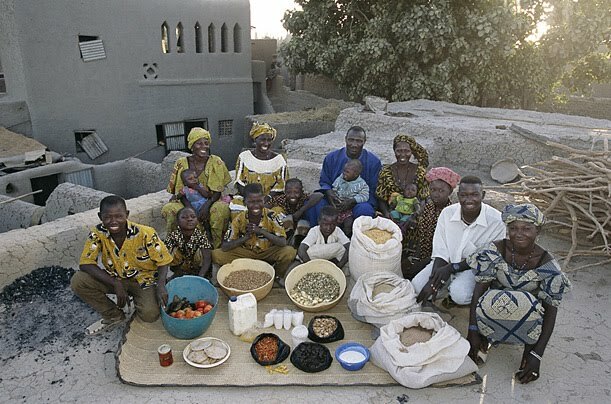 This family of 15 from Mali spends about $27 per week on food. No boxes or colorful packaging here. Doesn’t it make you feel wasteful to see what this family lives off of? 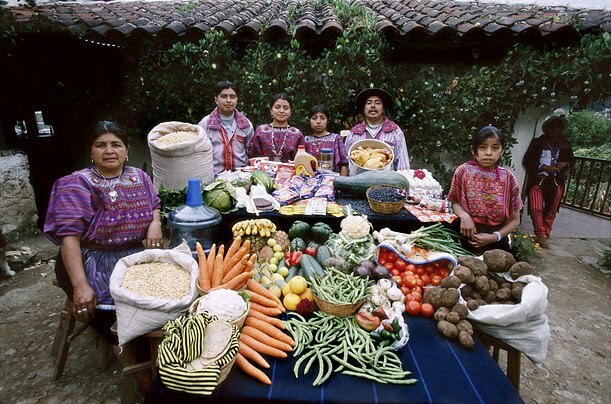 This family of 6 (or 7, not sure if the person in the background is part of the family) from Guatemala spends about $76 per week. Look at how many vegetables they eat! I would love my diet to look more like this. I’ve always been a fairly healthy eater. I have this weird rule about always having something green on the plate when I cook, but I’m human. I get lazy and sometimes I eat fast food. I know I won’t ever be as healthy as I want to be, but I know that being conscious of the food I purchase and consume is on very important step. Who knows? One day I might live like the Beekmans (my life goal) and have a farm of my own! so interesting! i've heard about this somewhere before, but thanks for posting! reminds me to bring my bags with me while shopping and to hit up the farmers markets whenever possible !